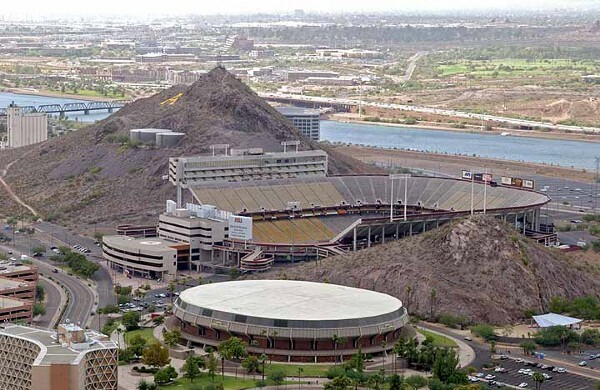 The campus of 50,000 student Arizona State University defines Tempe. It’s adjacent to the downtown and Lake trail areas. It’s a great run through the campus, featuring palm-lined pedestrian malls, subtropical vegetation, and interesting architecture. A highlight of the run is the short but very steep run/walk to the top of “A Mountain”. 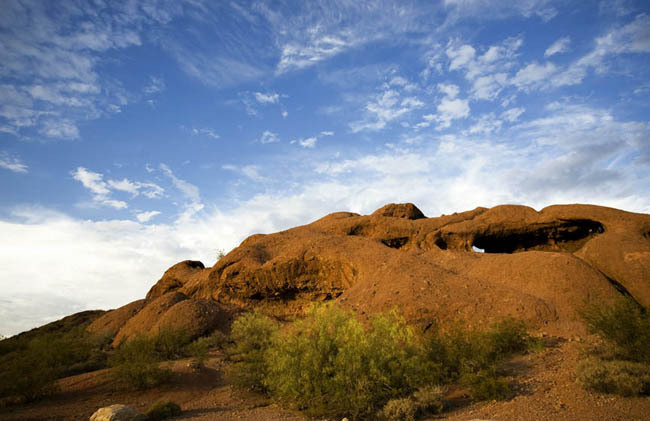 Our loop combines the nicer paths within the university, the mountain, and a brief stretch along the Tempe Lake Trail. 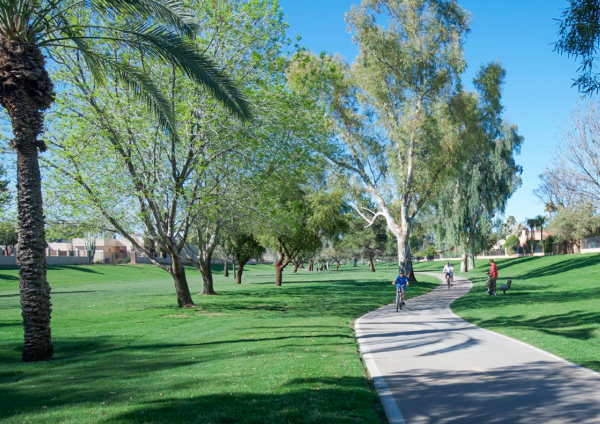 It’s possible to do more within the campus — there are lots of nice pedestrian malls, or to add on by running a bit in downtown Tempe or more along the lake trail.